I never will figure ... not when I was a Computer Programmer before and fall in love with Einstein Theory ... neither when from another city I perform my examinations for the second degree ... 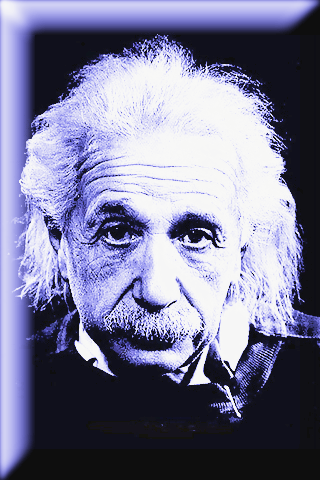 I never will ... plan to publish a book ... or set of Books ... to explains ... Why Einstein Theory is Wrong. Now ... today March 2019 ... I know that many of the conclusions of Prof. Eistein were wrong ... like ..
Now ... Humm ... Multidimensionality in one day ... Sounds Good. He talk about Eleven Dimensions. Dimensions are levels of Consciousness. Now ... the Fourth Dimension is the Dimension of Time and have a Mathematics ... the Mayan unveil. Also the Annunaki of Niburu and its Sexagesimal Mathematics is valid ... may be too complex for us. The Pleiadian Agenda ... which is a materialization of concepts from Dimension 5D, 6D ... 7D and 8D ... explains that ... Even dimensions have a role or plan or Agenda ... related to Life. Anyone seeking life is a member of the Galactic Federation. We will call together entities of 2D, 4D, 6D, and 8D who have an interest in the condition of Earth. Why the even side of the dimensional caduceus, and not the odd side? The even dimensions of the alchemical tree of life create structural laws for the Galaxy, and the odd dimensions live out the laws by exploring free will. The very laws of existence must be rewritten so that the life that lives them out can remain free. It is not that one side is better than the other; each one just works with different agendas. We, the gods of 4D, are the ones who know that we must write new laws of existence. seventh dimension—lines of communication for pure thought. For Earth, the sev­enth dimension is the galactic information highways of light, the photon bands, that are guided by the Andromeda Galaxy. sixth dimension—the lightbody form of the third-dimension al solid world. All physical objects are ideas that reside in the sixth-dimensional library, and through its thinking process, light geometrical forms are generated that create realities. For Earth, this realm is guided by the Sirius star system. Space and Time have a connection different that you suppose ... Time creates Space ... and the Universe is a Time. You can travel in Time ... faster than you travel in Space.